The Apple HomePod hasn’t had the warmest welcome, with customers complaining about its limited functionality — and perhaps more important, its price. At $349, the smart speaker, released February 9, is leaps and bounds more expensive than similar (and perhaps more useful) products from other companies like the Amazon Echo and Google Home. Could a cheaper one be en route? The rumor mill has been churning; some claim Apple has taken note of the criticism. Reports suggest Apple could release another version of the HomePod in 2018 at a significantly lower price point. The most recent gossip suggests that Apple is looking to release a $199 version of the HomePod under its Beats brand. This marks the first time that the Beats name has been brought into the conversation — the iEmpire bought the headphone brand back in 2014 for $3 billion. That said, it’s not entirely out of the realm of possibility. When Apple debuted Airplay 2 in 2017, it did note that the feature would ultimately arrive in Beats products as well. As such, it seems reasonable that Apple would bring together the feature with the hardware in a new HomePod product. The rumor, supplied by Loveios, also suggests that Apple is working with MediaTek to make the more affordable device. That said, we should note that these reports do not come from the most dependable of sources. As such, it’s entirely possible that the rumor of a Beats-branded HomePod is just that — a rumor. The dream of a cheaper HomePod is nothing new. According to a report from KGI’s Ming-Chi Kuo, “there will be a cheap version of HomePod in the second half of” this year. There is certainly precedent for this sort of move, though deciding to drop the price of a product a few months after launch does seem particularly aggressive. Keep in mind, however, a cheaper iPad was released in 2017. Based on those moves, it seems Apple is attempting to appeal to a wider range of buyers, both marketing toward the top and bottom of the spectrum. For all the relatively inexpensive products the company puts out, it also debuts high-end smartphones (the iPhone X will set you back $1,149) and, of course, the perennially expensive MacBooks. So how exactly might Apple lower the price of its HomePod? 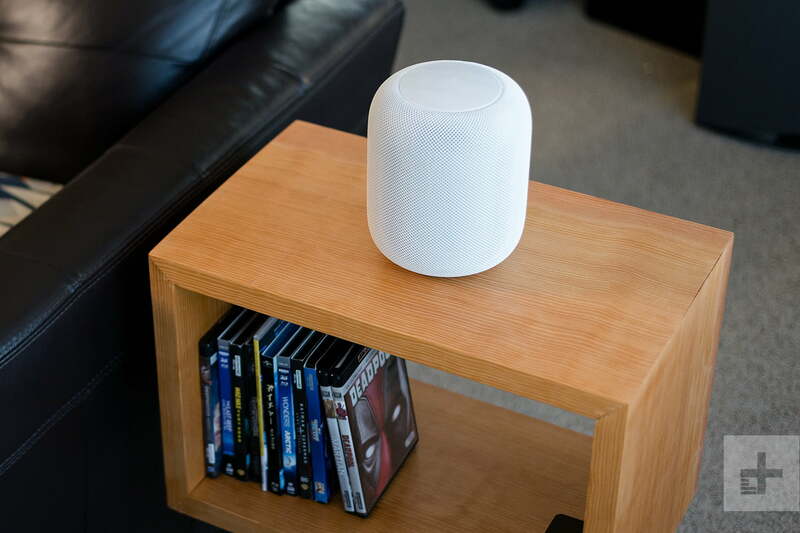 It might consider releasing a smaller version, like the Amazon Echo Dot or the Google Mini, both of which are diminutive versions of their older siblings. This would certainly slash the price while maintaining many of the same selling points — in the case of the HomePod, it’s the quality of the speaker itself. We should note again that Forbes is highly skeptical of the veracity of this rumor. After all, new products generally stay on the market for more than a year before Apple makes any updates — think the Apple Watch or the AirPods. As such, the notion of two HomePods arriving in the span of a single year would be unprecedented. Plus, seeing as the HomePod isn’t even widely available across the globe quite yet, it seems even less likely that the company would already be working on another version, or thinking of dropping the price. In any case, we have several months to determine whether or not this rumor proves real. We’ll let you know when we do. Updated on May 20: Added report that the cheaper HomePod may be Beats-branded.